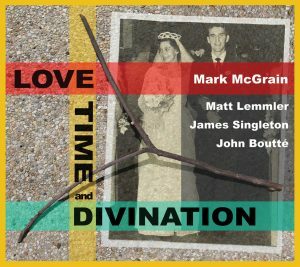 Trombonist Mark McGrain changes direction, mood and instrumentation on his latest release Love Time and Divination in comparison to his previous recordings, including 2015’s IN for the OUT. While that release featured drummer Simon Lott and a whole host of musicians, the new album goes drumless and includes the vocals of John Boutté, with whom McGrain has performed for many years. Notably, Boutté’s group also doesn’t employ a drummer and to some degree, McGrain seems to emulate the romance and swing he’s enjoyed as a sideman with the vocalist. Here, however, he’s working with the trio of pianist Matt Lemmler and bassist James Singleton on primarily his own original material. Lemmler’s old-timey piano take on the standard “As Time Goes By” opens the album with McGrain’s lyrical and always perfectly-pitched trombone “singing” the well-known song. The leader’s self-penned “Blossom” might be new but the swingin’ tune already sounds like a classic. Singleton’s solid bass line provides such a strong rhythmic base that one tends to forget the absence of drums. A highlight of Boutté’s work on the album comes, interestingly, by his interpretation of a Pink Floyd tune, “On the Turning Away.” With its socially conscious lyrics and anthem-like qualities, it’s the perfect vehicle for the always-passionate Boutté. Wonderfully arranged by McGrain, at times—and with the aid of a bit overdubbing—the small group sounds like an entire orchestra. 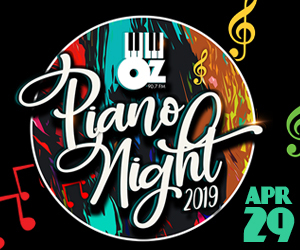 Mark McGrain’s theme, Love Time and Divination, proclaims the ability of the old and the new—classics and finely written originals—to share the stage of beauty when played by talented musicians.